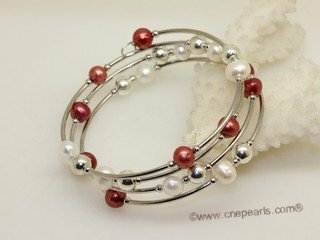 Freshwater pearl bracelet made of 6-7mm freshwater potato pearl in white and wine red color, alternating with copper silver tone pipe fitting. 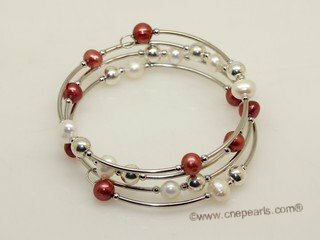 this pearl bracelet total 22-24" in length can wear wrap as three row bracelet. 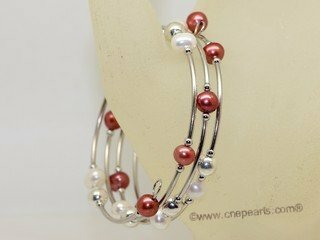 Chinese online jewelry store - jewelry wholesale: bridal jewelry, pearl necklace.Enjoy shopping!